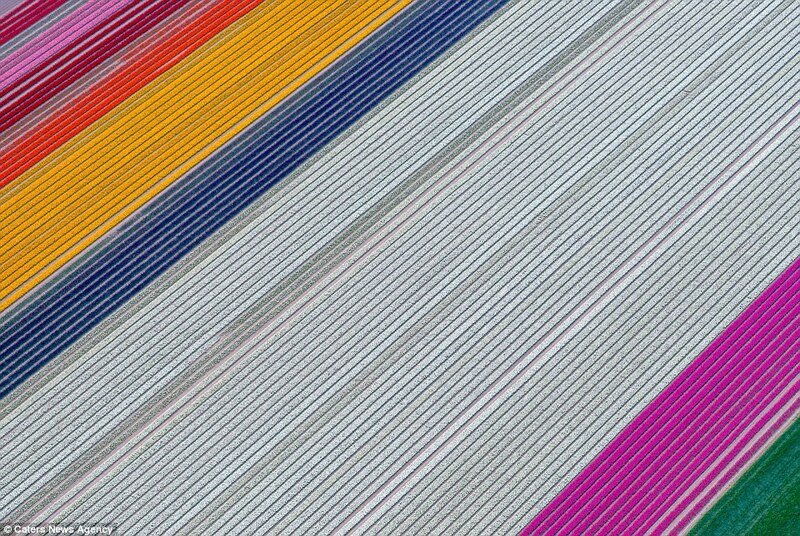 They may look like an abstract painting, or even microscope slides, but these coloured straight lines are made of tulips. 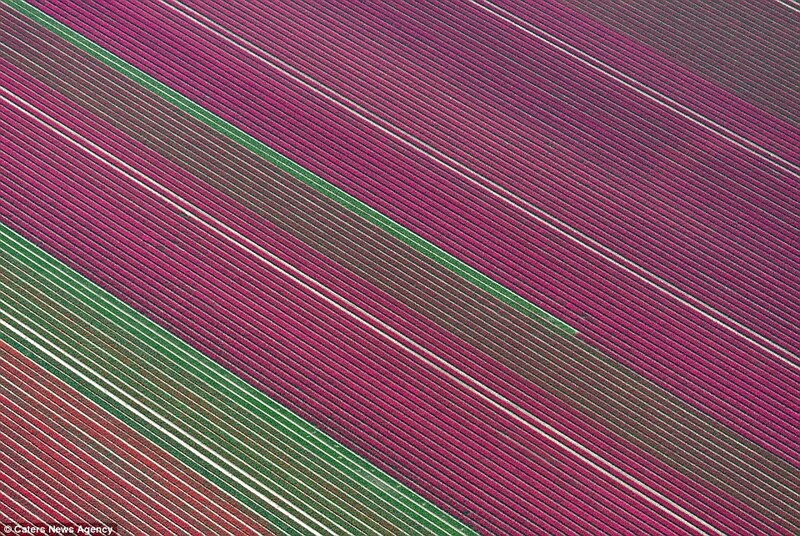 A nature photographer has captured bright aerials of tulip fields in the outskirts of Amsterdam to reveal their geometric perfection. 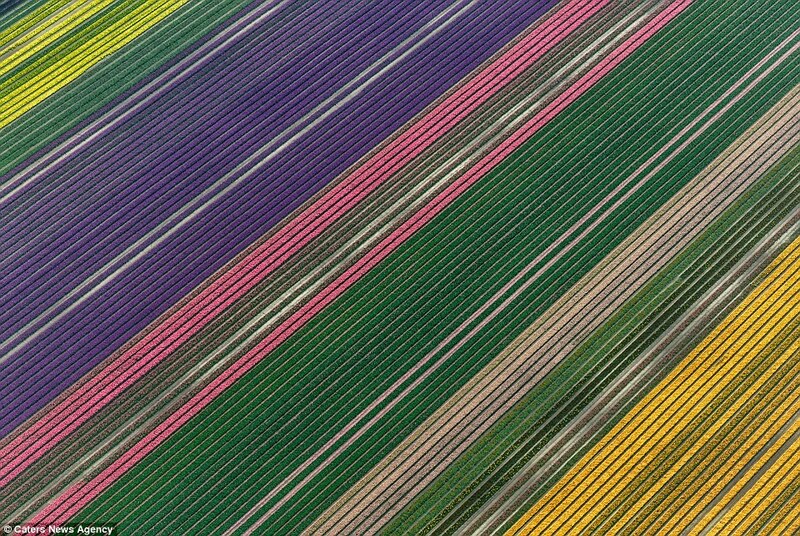 Simone Sbaraglia, from Rome, Italy, was inspired to take the images from the air because he was interested in the geometry and colours of the flower-filled fields, which stretch for miles. 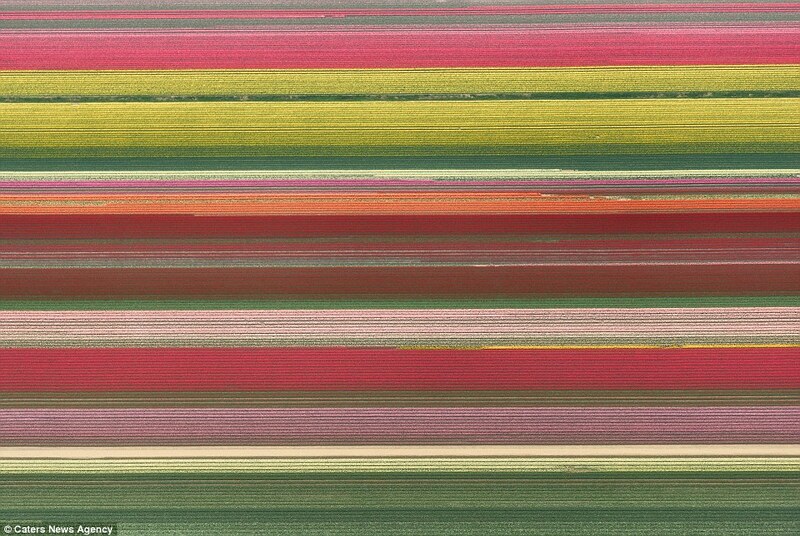 The photographer took hundreds of images of the fields over four days in April 2014. 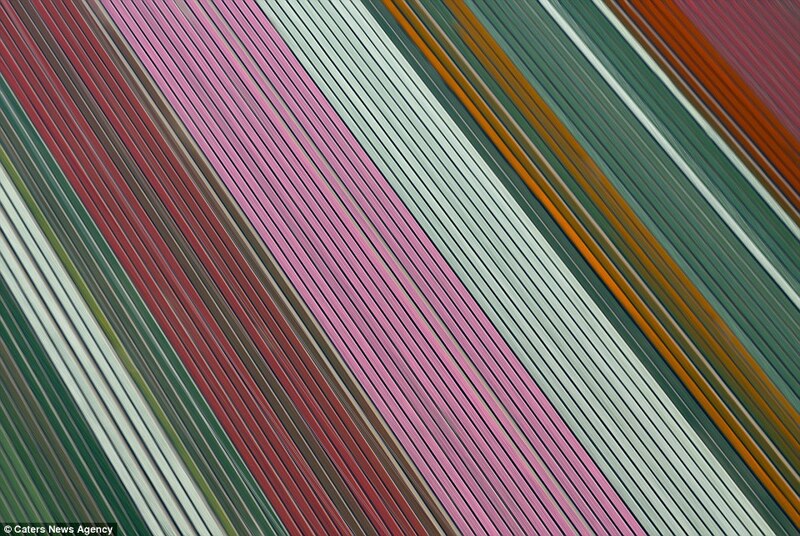 Mr Sbaraglia, 42, hoped to highlight the perfectly straight lines in his images – and was not disappointed. 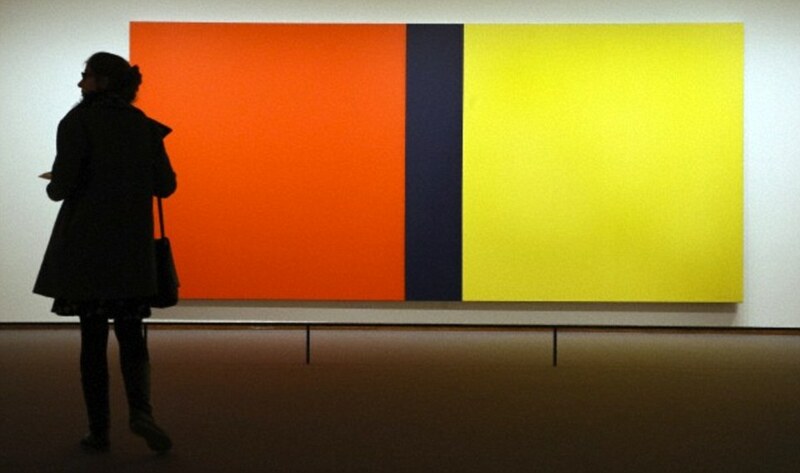 The lines resemble those seen in the works of famous abstract painter Barnett Newman and other US painters of the time. They create a sense of simplicity, beauty and harmony in the images, the photographer explained. 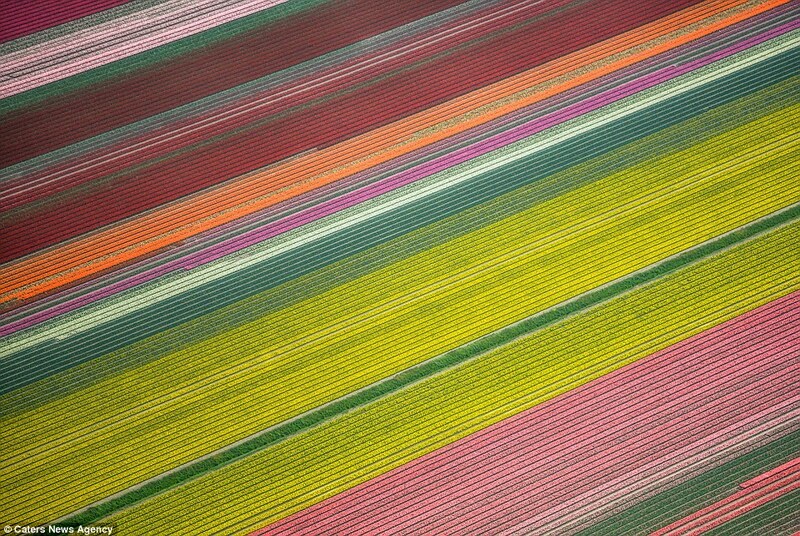 ‘I am especially drawn to the geometry and colours, so I loved the harmony of the tulip fields from an aerial view,’ Mr Sbaraglia said. 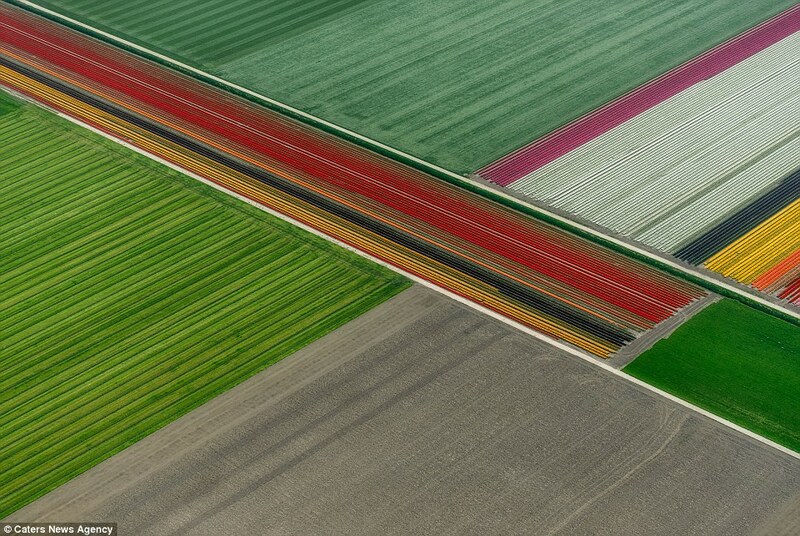 ‘Having rented a small aeroplane, I explored the area from above, taking several hundred photographs in total. 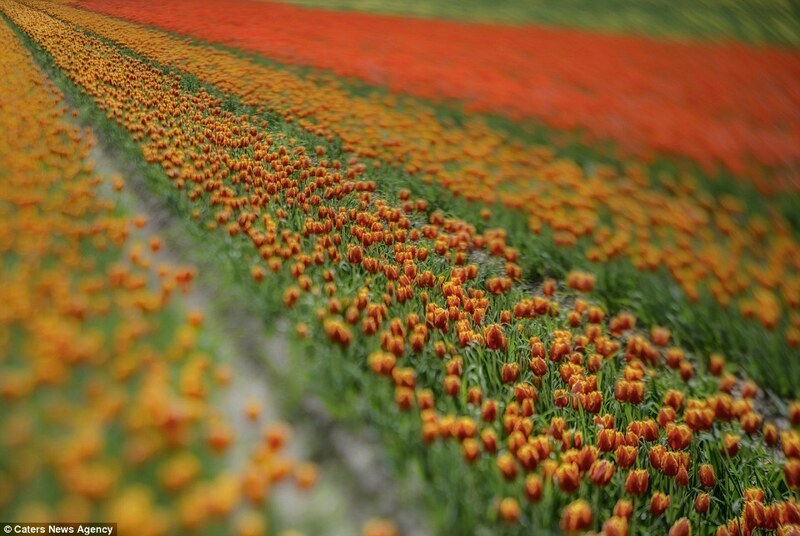 Though estimates vary, it is believed that Holland produces more than three billion tulip bulbs every year, and they come in a huge variety of colours. 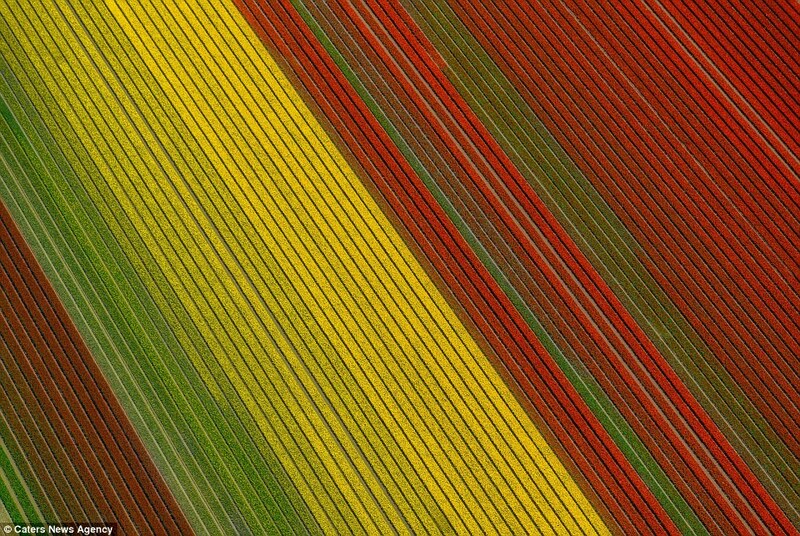 ‘I am especially drawn to the geometry and colours, so I loved the harmony of the tulip fields (pictured) from an aerial view,’ Mr Sbaraglia said. 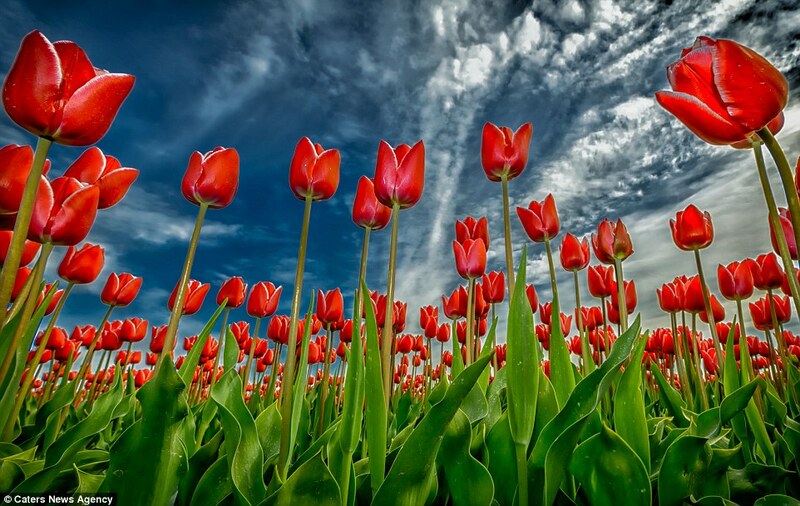 There are around 75 different species of wild tulips worldwide and The Netherlands even hosts an annual festival to celebrate its national flower. Tulips are indigenous to mountainous areas with temperate climates and thrive in areas with long, cool springs and dry summers after being planted in the late summer or autumn. Experts think that tulips were first cultivated in Persia in the 10th century and were bred during the Ottoman Empire. It is not known when the tulip was first brought to North western Europe, but it is thought that Oghier Ghislain de Busbecq – an ambassador to Emperor Ferdinand I in the early 1500s, was the carrier. Biologist Carolus Clusius planted tulips in Vienna’s Imperial Botanical Garden in 1573 and later went on to establish Leiden University’s Hortus Botanicus. The year 1594 is considered the date of the tulip’s first flowering in the Netherlands, which took place at the university. This is despite reports of the flower being grown in private gardens in Antwerp and Amsterdam decades earlier. 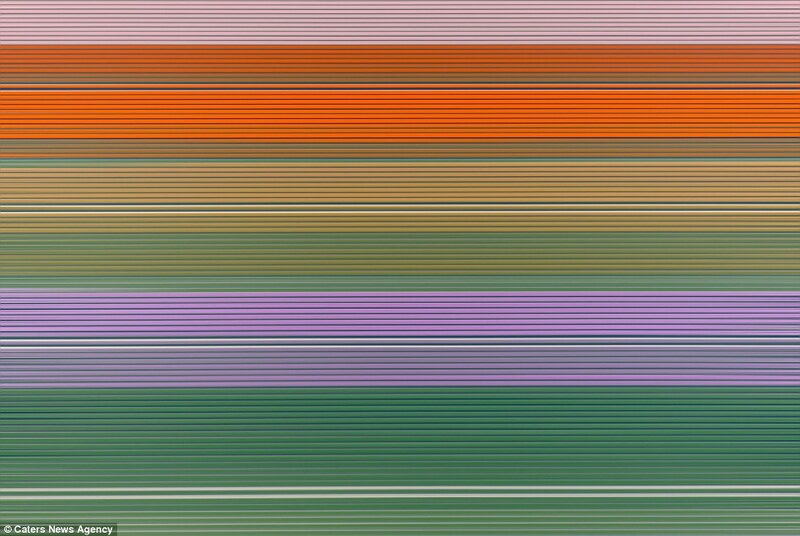 Mr Clausius is largely responsible for the spread of tulip bulbs in the final years of the sixteenth century and made note of the variations in colour. Between 1634 and 1637, the enthusiasm for the new flowers triggered a speculative frenzy now known as the tulip mania, when the flowers became so expensive that they were treated as a type of currency.